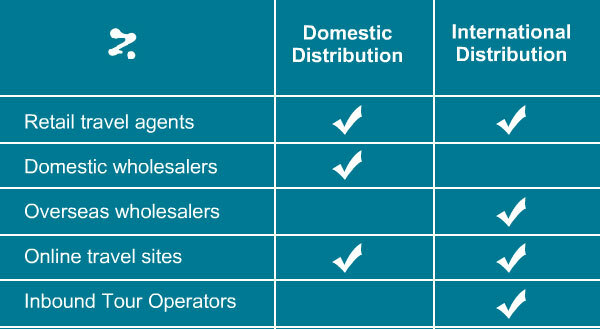 Partnering with agents overseas is one of the best distribution strategies you can deploy for your tour or activity business. After all, they can put you in touch with travelers that you wouldn’t be able to reach otherwise. In the agent-supplier relationship, the agent represents you in their destination and market. You will generally pay them based on the commission of sales they can make for you. The agent will send you bookings made by their customers, and you’re responsible for delivery. You have total control over pricing, however the agent may give some advice on how to price it for their local market. You may give an agent the exclusive right to represent you in a destination or market. Otherwise, they can be one of many doing so. Here are the key qualities that tour operators should look for when selecting overseas agents to work with. In an overseas market, you want to tread carefully. It would be a good idea to fly over and meet your potential partner where they are to get to know them and assess how reputable their business is. What is your history working with tour operators like me? What are your financial resources and credit rating? Do your homework. Look at more than 1 agent (perhaps even 5), and be sure to ask for references. You may even want to use a professional credit-checking agency to check that they are financially stable. Another factor to consider is what experience they have in your sector. What experience do you have selling similar tours and activities? What are your marketing and service strengths? It wouldn’t make sense to partner with an agent who has never sold your type of tour or activity because there is no demand from their customer base. For example, if their customer base are senior citizens, don’t partner with them to sell your skydiving trips. How well your agent is able to manage their business is a good indicator of professionalism. What achievements have you had with other partners? Steer clear of disorganised agents with nothing to show for in terms of their successes. Reviews from reputable sources should be enough. Your agent has to be able to service you as well as their customers – and do it well. You need to think about whether they have the resources they need to make this a successful business relationship. If your business is using online booking software, will your agent be able to refer bookings through it? Or are they stuck using another system – or worse, still doing everything manually? You don’t want to be stuck doing more work by manually processing their bookings. Your agent should be able to log in for free and send you bookings without any manual intervention. Tour operators should also consider how their business fits into the agent’s overall product/service mix. What do you like about my tour or activity? Do you represent any of my competitors? What are your sales projections for my products and why? How well they are able to answer these questions will show you how interested they are in your business. It will prove they have put some genuine thought into it. Determine whether the policies they have in place will make their sales staff motivated to sell your tour or activity. What incentives do you have for your staff? How do you train your staff on the products they sell? Their sales team is the key to getting more online bookings, so find out whether they are ready to sell for you. How they market to their customers will also impact their ability to send bookings your way. How do you split up your marketing budget? Who are your network contacts? Your agent should be able to describe what return they have received from each of their marketing investments. Once you have picked your agent, congrats! Be sure to give them what they need to be successful. If your online booking system doesn’t allow you to set commission for agents so that they can book instantly with you, why not see how that works? Take an obligation-free trial of Rezdy and start accepting bookings in minutes.